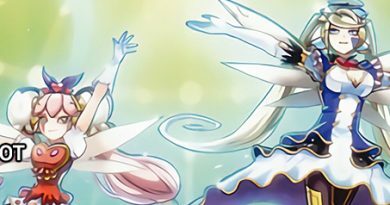 The Dark Illusion was just barely released a week ago in the TCG, but that’s no excuse for not looking ahead. Today I want to take a look at some of the upcoming cards in Invasion of Venom (TCG name, Invasion: Vengeance) that could help shape the competitive format for this set-year. 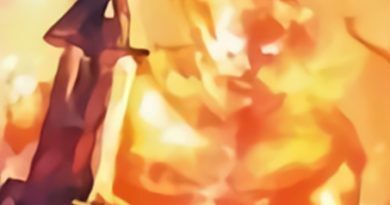 This post is assuming a meta shift somewhat similar to the OCG’s. Declare 1 monster card type (Ritual, Fusion, Synchro, Xyz, or Pendulum); this turn, neither player can Special Summon monsters of the declared type, also negate the effects of face-up monsters on the field of the declared type while they are on the field. You can only activate 1 “Dimensional Boundary” per turn. Dimensional Boundary is a pseudo-floodgate with some great artwork (It’s a great candidate for one of our 8 Secret Rare cards). It’s effect, during the turn that it’s activated, prevents both players from special summoning a declared type of monster from the five overarching special summoning methods. It also prevents monsters that already exist on the field from activating their effects, if they fall under the declared summoning method. It also has a hard once per turn clause, but that’s not much of a problem considering the fact that the card can completely stun win conditions of certain decks. This card is potent against Metalfoes, ABC, Burning Abyss variants, and to an extent, Blue-Eyes. The decks mentioned heavily rely on special summoning methods. Declaring fusion against Metalfoes or ABC removes a large portion of the engine that gets these decks going in the early game. Later on in the game, you might want to declare xyz against ABC and synchro against Metalfoes if they telegraph a gofu play. 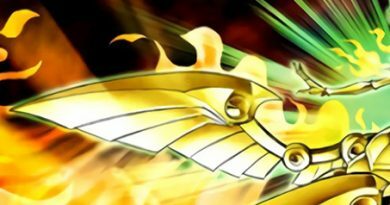 The choice is clear against Burning Abyss variants, as declaring xyz will set your opponent back considerably. Playing against Blue-Eyes you have the option of declaring xyz or synchro, and sometimes even ritual if your opponent is fielding Blue-Eyes Chaos MAX Dragon. It’s less of a blowout vs Blue-Eyes so you might avoid siding this against them. Kozmo, Monarchs, and Subterror/SPYRAL all don’t particularly care about Dimensional Boundary, unless of course you’re playing against Extra Deck Monarchs, or one/both of the new TCG exclusives gain an extra deck monster. Target 3 banished monsters; shuffle all 3 into the Deck, then draw 1 card. You can only activate 1 “Pot of Acquisitiveness” per turn. Pot of Acquisitiveness, which is another good candidate for our 8 Secret Rare slots, also possesses a hard once per turn clause to check its powerful effect. To quickly dispel any misconceptions, Pot Avidity cannot interact with cards banished facedown, i.e. cards banished by Pot of Desires. Cards banished facedown do not have a public identity and thus cannot be targeted as “monsters.” The particular strength of Pot of Acquisitiveness is that it helps decks recover from getting blasted by Ghost Reaper and Winter Cherries and also replaces itself in the form of a draw. Pot of Acquisitiveness is most at home in ABC side decks, which are often targeted by Ghost Reaper and Winter Cherries. If Dante, Traveler of the Burning Abyss remains legal at 3 copies, expect some Burning Abyss decks to be siding this card. Infernoids could also field this card to some success. You can Ritual Summon this card with “Fairy’s Blessing”. During either player’s turn, when your opponent activates a card or effect that targets a monster(s) you control: You can discard this card; negate the activation. During either player’s turn, when your opponent would Special Summon a monster(s): You can return this card on the field to the hand; negate the Summon, and if you do, banish that monster(s). Sauravus has a very niche hand trap effect. While it doesn’t do anything to remove the targeting threat, if it’s a card that persists, it does negate the activation of any card, from anywhere that targets one of your monsters. The most general application of this card is as a counter-Effect Veiler card, but even considering that, Sauravus seems extremely situational. I actually lied, there’s one more card I think that should be brought into consideration. True King Bahrastos, the Fathomer (which will likely become something to the tune of True King, Bahrstos the Leader). While the True Dracoruler/King theme hasn’t been fully fleshed out. This would be a good card to pick up a playset of, along with True King, Agnimazud the Vanisher. Keep an eye out for the effects of the other True Dracoruler/King cards, they could really do something to support each other/their attributes/wyrm decks. As always, thanks for reading. I hope your found this informative and I appreciate any feedback! Love blogs ontechs since not many searches come in google if you search yugioh techs anyway,good job! Part 2 of a very in-deth look at the Metalfoes archetype.